Andreas Mundt has been president of the Federal Cartel Office since December 2009. After qualifying as a lawyer following studies at the University of Bonn and the University of Lausanne, Switzerland, he entered the Federal Ministry of Economics, where he worked from 1991 to 1993. He then joined the staff of the Free Democratic Party in the German parliament from 1993 to 2000, where he was in charge of the portfolio of labour and social law. 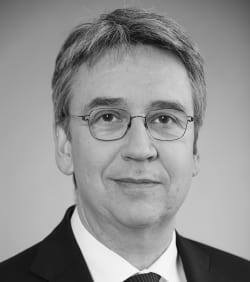 In 2000, Andreas Mundt joined the Federal Cartel Office as rapporteur, with responsibility for banking and card payment systems issues. He was head of the international section from 2001 to 2005 and director of general policy from 2005 to 2009. Since 2013, Andreas Mundt has been the steering group chair of the International Competition Network (ICN). Since 2010 he has been a member of the Bureau of the OECD Competition Committee.